Hi Everyone the challenge this month at LESSology is called Mirror, mirror on the wall. I thought and though what can I do. Well I was at a hotel and was in need of a magnifying mirror. I am getting old and can not get my eye make up on with out one. LOL There wasn't any around. When I got hope I remembered I had my four Mary Kay mirrors from when I sold MK. I got one out and thought here is my project. 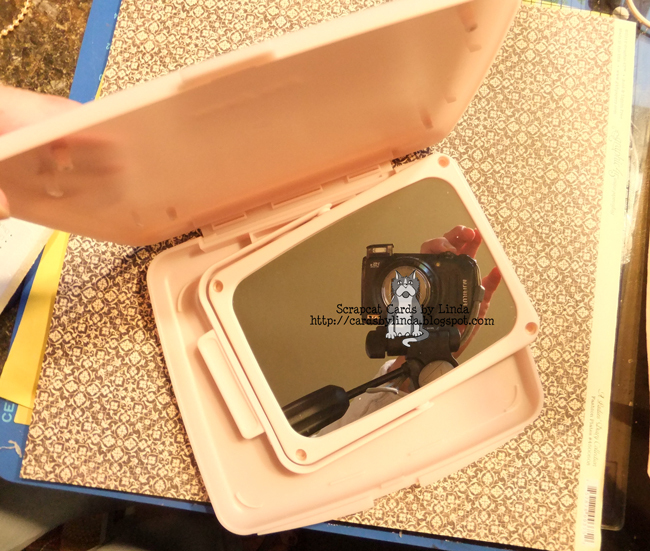 I took the mirror that looked like this. Then I up-cycled it to look like this. 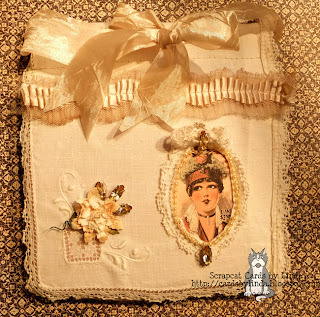 With a little Graphic 45 paper, an old linen napkin, some bling and glue I now have a very pretty mirror to hang in my bathroom and to take when I go on a trip. Here is the video of how I made the transformation. Our sponsor for this challenge is Spellbinders. 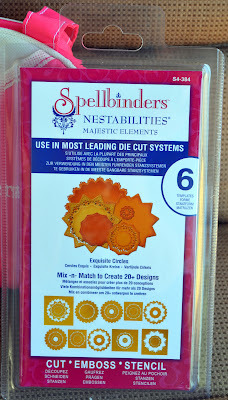 The winner of this challenge will win a Spellbinders Nestabilities set and pouch. Design team member Julie Tucker-Wolek has also added in an Artbin Magnetic Die Storage Case for the winner. Awesome prize, don't you think? Just saw this over on LESSology and ABSOLUTELY loveeeeeeeeeeeee it!!!! I love love love what you did with your mirror!!!! Gorgeous like always my friend. So Shabby Chic. I hope you had a great time at the lake. Love how you used the lace and napkin. So creative Linda. OMG Linda this is amazing, wowww, you are brilliant to be able to alter something to look as beautiful as this is awesome, superb project. Oh wow Linda this is amazing!!! You know I always love what you do for LESSology!! Just inspiring!! So many great ideas on your blog Lina! Thanks so much for choosing me as a winner for this challenge!